What are your Africans Books to Inspire? Tonight (Friday 3 July) I will be sitting, along with a host of other people, at the British Library listening to journalist Hannah Pool in conversation with Africa39 writers Abubakar Adam Ibrahim, Ndinda Kioko, Nadifa Mohamed, Chibundu Onuzo and Nii Ayikwei Parkes, as they speak about books and inspiration. I've had my tickets for this event since around May, so to say I am excited is an understatement!!!! 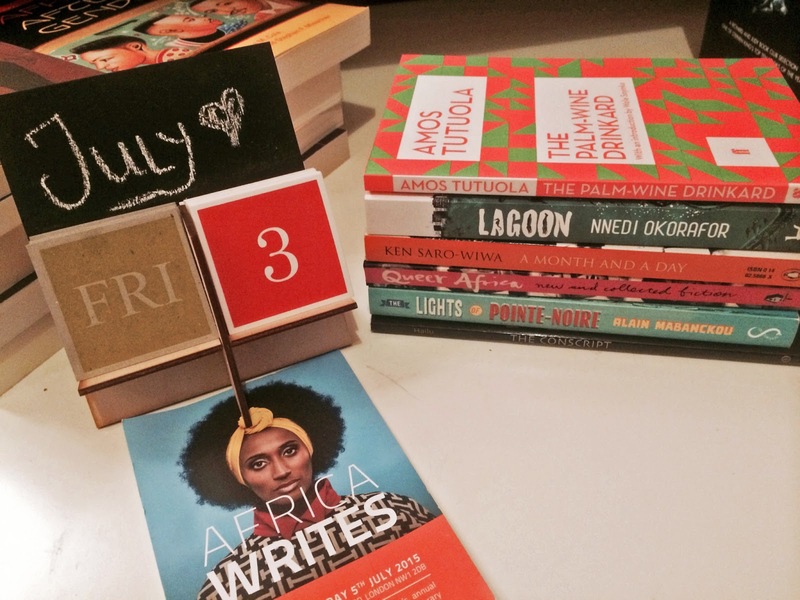 What's cool is that in the lead up to the event, the Africa Writes blog have been sharing contributions from journalists and writers on their African books of inspiration. I'm really loving this series and the theme around inspiring books from the world of African literature. Through it we get glimpses of the variety of African literature out there - both classics and contemporary: a spirit child navigating the real world; love, life and everything in between during civil war; the life of a great warrior before and during colonialism; experiences from an adolescent girl and more. And now in less than 12 hours, I (along with many others) get to listen to authors whose works I've thoroughly enjoyed reading, share with us their own books of inspiration. What better way to spend my Friday evening! Can't wait!!!! !